Compass Etched Stemless Wine Glass Set is the perfect stemless glass at 15 oz when entertaining at your coastal home. Impress your guest with this designer set of Compass drink ware. 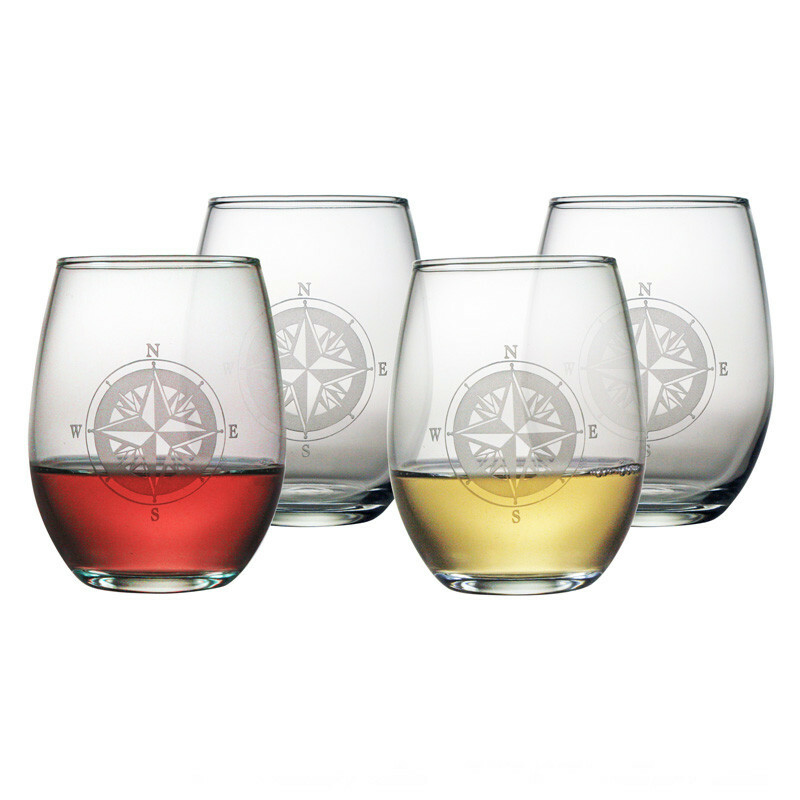 The Compass stemless wine glasses are great for parties because they are less likely to fall over. Great alternative to the tall stemmed Compass wine glass. The 4 main points (cardinal directions) of the compass were derived from the wind rose North, East, South and West. Like the wind rose, the compass rose was coincidentally designed in a fashion that resembles the rose flower. it helped to orient a map in the proper reading direction and gave the relative directions for certain points on the chart.